You must be at least 21 year old to rent any equipment from Arizona Boat Rentals with a valid driver’s license. You must be familiar with operating any equipment you rent. If you are chartering a boat you can be younger than 21 years old with a signed waiver from your guardian. You must also have a valid credit card on file for the security deposit. Depending on your rental equipment desired we require a security deposit of $500 to $3,000. This deposit must be done on a credit card or cash if you choose. If done on a credit card it is not charge, the deposit or money is only held until you return to make sure no damage has incurred during your rental period. The security deposit cannot be done on a debit card. To reserve your boat rental, jet ski rental, or chartered boating services we do require that you call us, and one of our knowledgeable team members can help make your reservation. There is a $300.00 to $600.00 non-refundable reservation fee, per piece of equipment that will be applied toward your total boat rental, waverunner rental or any other watercraft service we offer. This reserves your equipment for the time you specify. Cancellations must be done 60 days in advance of any rental or chartered service otherwise the full quoted price is due when canceling the service. You may purchase cancellation insurance up to 3 days after the time of reservation for 10% of your total rental rate. This will allow you to cancel or change the number of days of your rental up to 72 hours in advance of your rental start time. No cancellations or date changes are allowed within 72 hours of you start time otherwise the full remaining rental rate is due. You may change the start date of your watercraft service within the same boating season if available for a rescheduling fee of $200.00 per watercraft. You may change or upgrade your rental equipment from that which was originally scheduled if available, however the original quoted rate must be the same or more than what equipment you are changing to; otherwise the original amount must be honored even if the equipment you are changing too cost less. All boats, jet skis, ATV’s, Snowmobiles, come with a trailer it is not an additional cost. They will come with all the required safety equipment; fire extinguisher, paddle, flotation device, tie downs, cleaning kit, buoys, anchor, and flag. Accessories you may rent for an extra charge are; life vests, helmets, gloves, ropes, wakeboards, wake skate, water skis, kneeboard, air chair, wake surf, tubes, water trampoline, slalom ski, gas cans, and ball hitch. Can I do water sports behind the waverunners, jet skis, and sea doo’s? Yes all of our jet skis are 3 seater’s, and are powerful enough to pull tubes, double skis, wakeboards, kneeboard, and wake skate. If pulling a rider you are required to have 2 people on the jet ski; one person drives the jet ski, and the other watches the rider. There can only be one person being pulled behind the jet ski, and there must be an empty seat on the jet ski for the rider to get back on when they are finished. We recommend our Yamaha 1812cc jet ski for towing adults. Anyone can drive a boat if you are 21 years or older with valid driver’s license, and have signed the contract. To operate a PWC you must be 21 years or older with a valid driver’s license, and have signed the contract. Most state law allows anyone 18 years or older to operate a jet ski. If you are between 14-17 years old you may get a PWC license through the parks service to operate the jet ski on your own in most states. On a full tank of gas our jet skis will last 4-8 hours depending on how hard you run them. When our boats are full they will last 6-10 hours running time depending on the model of boat. All Watercraft Rentals are located on the lake? Any of our watercraft rentals and services are located at all lakes in the USA. What time(s) do I get to use the rented equipment? Our rental prices are based on a 8 hour period if your only going one day. If you are going multiple days you can keep the equipment overnight as many days as you would like to rent for. We try to accommodate customers times they would like to rent the watercraft if available. During check-out we go through a damage check list diagram, and video tape the rented equipment to ensure that both the renter, and Arizona Boat Rentals is protected in case of any discrepancies in damages. If any damages or cleaning was the fault of the renter they will be responsible to repair the damages. 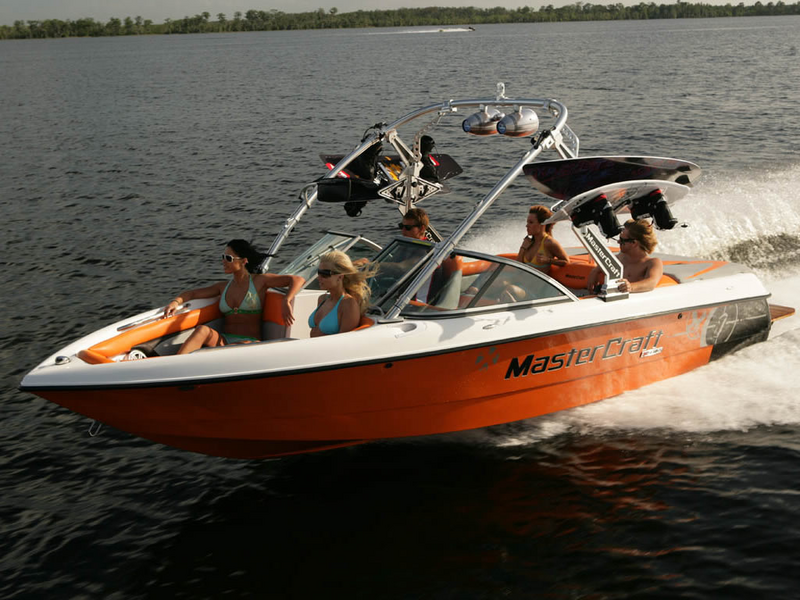 Arizona Boat Rentals does not allow anyone to fix the equipment except certified dealers approved by them. We offer third party insurance physical damage coverage for the renter if you want to purchase it.